It’s getting to be that time, huh? We’ve held out about as long as we possibly could. Our party has continued to drink sweet tea while averting our collective gaze from the many children currently detained in government-sponsored prison camps. However, like all good things, our game of chicken with one of the more heinous acts of this administration must come to an end. As we’ve always said, we’ll only speak out against the imprisonment of children if the whole thing turns into a political crisis. Well, that political crisis has arrived. It’s time to put the long, cool glass of sweet tea down, stand up from the wooden rocking chairs on our verandas, and do some very strained public hand-wringing while still continuing to support this administration’s entire agenda. Let’s all come together to do the absolute bare minimum in the face of unspeakable horror. Fellow GOP Senators, please join me in putting down our delicious teas and doing the very least we can do: tepidly speaking out against this reprehensible policy in a transparent attempt to save our own asses. As a first step, we can all sign a gutless letter that doesn’t actually demand any concrete action. We don’t even need all of us to sign it, just a dozen or so. If all of us signed it, we’d be rocking the boat a bit too much and the boss wouldn’t like that. The point is, continuing to ignore the terrible stories coming from the U.S. border is simply no longer a political option for us. However, taking a firm, united stance is also not an option. So, we’ll simply occupy the weird, murky middle ground where we pretend to care, but not too much. As much as we all enjoy rapidly changing the topic to sensible immigration reform anytime we’re asked about our country’s child prisons, the sun has temporarily set on that tactic. We must now denounce these child prisons in the vaguest of terms, so as not to alienate our unhinged base and president. It appears keeping children in cages is not the partisan issue we initially predicted it to be. Normally, we’d be totally fine with letting these kids continue to sit in cages, never to see their families again, but there are votes at stake here. Across the board, American citizens seem to basically agree that we shouldn’t rip children from their parents and throw them in makeshift jails. We all knew we were out of touch, but who saw this coming? Certainly no one in this room. 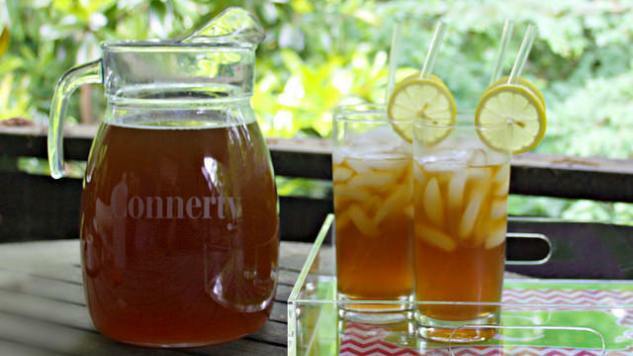 Look, we all wish we could just keep drinking sweet tea and pretending none of this is happening. In the hot summer months, there’s nothing more satisfying than taking a big swig of delicious, sugary tea and sticking your head in the sand as a humanitarian crisis unfolds. But, sweet tea time is over. We completely underestimated just how much backlash there would be to immigrant child prisons in a country that was built by immigrants. We silently drank sweet tea when we were confronted with horrific gun violence in schools, but now, we have no choice but to pretend to give a damn about children in pain. We’ll be handing out talking points and diagrams showing each of you how to convey empathy with your dead, morally bankrupt eyes. Senator Rubio, your materials include an extra set of pages on how to listen and nod without coming across like a ventriloquist dummy stuffed with oil money. The good news is we get to continue inexplicably blaming the Democrats for breaking up immigrant families and using this whole situation as leverage for a border wall. Now get out there and make a vague statement of unease and then continue not voting for the Democrat bill that would fix the problem, and hopefully we’ll be able to return to our delicious, refreshing sweet tea before the summer’s over. Bob Vulfov is a comedian and writer who lives in Brooklyn, NY. His website is way fancier than he is: bobvulfov.com.